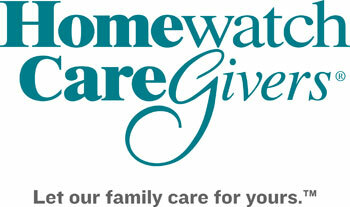 I am Rebecca Bodor, proud owner of Homewatch CareGivers of Loudoun. My husband Tim and I are natives of Northern Virginia and its surrounding communities. We have enjoyed raising our family here and taking advantage of all that this area has to offer. I made the decision to be involved in work that provided a meaningful service and a way to give back to our community. Both Tim and I have experienced the struggles of finding the right home care for our families. In the early 1990’s, Tim’s mother had the challenge of a husband with dementia. At that time, she felt there were no other options other than to put him in an institution. Ten years later while we were living abroad, Tim’s mother faced another challenge of having to struggle with cancer on her own, unable to find adequate in home care before she passed away. I came into this business not only as an owner, but as a client. My parents, both in their mid-eighties, have started to face the very difficult decisions that need to be made regarding aging and their care. After my father had a stroke, these decisions became more urgent. The vast amount of information and resources out there can be overwhelming! I have experienced the emotional toll this takes on a family and I understand the difficult task of choosing care for the people you love. I believe my personal experiences give me a unique understanding in how to provide a better service to our clients. Our guiding principle is to provide our clients with the kind of service that we would want for our own families. I understand how it feels to bring someone into your home when there is a need for professional care, and we make every effort to match our clients with the right caregiver. We strive to give our caregivers a great place to work, where they feel valued and part of our extended family. By doing so, we know our caregivers will extend those feelings to our clients.